The darker nights are drawing in which means it’s almost time for two of our favourite annual events, Halloween and Bonfire Night, and what better way to celebrate both than with friends and family. 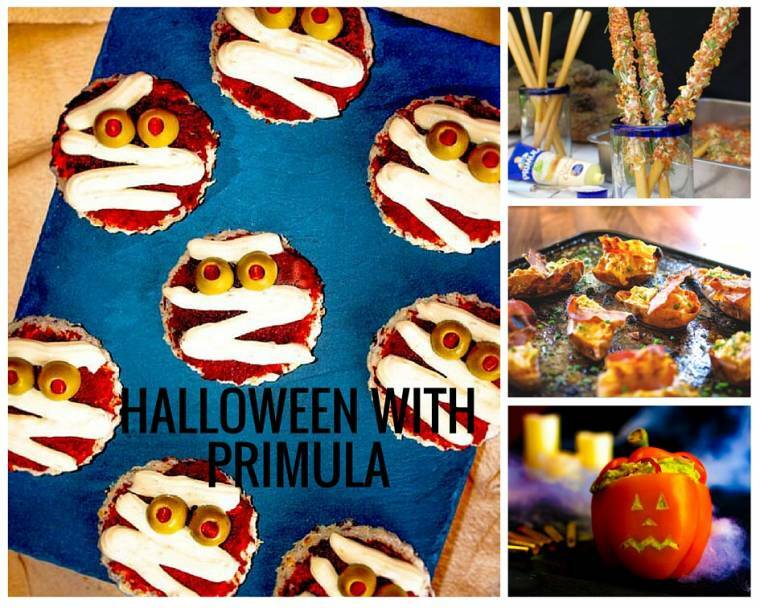 The chefs at Primula have been hard at work cooking up an autumnal recipe book to create the perfect Halloween party spread or post-Bonfire snacks – treating the family to high-taste recipes that look great, taste great and are simple to make. 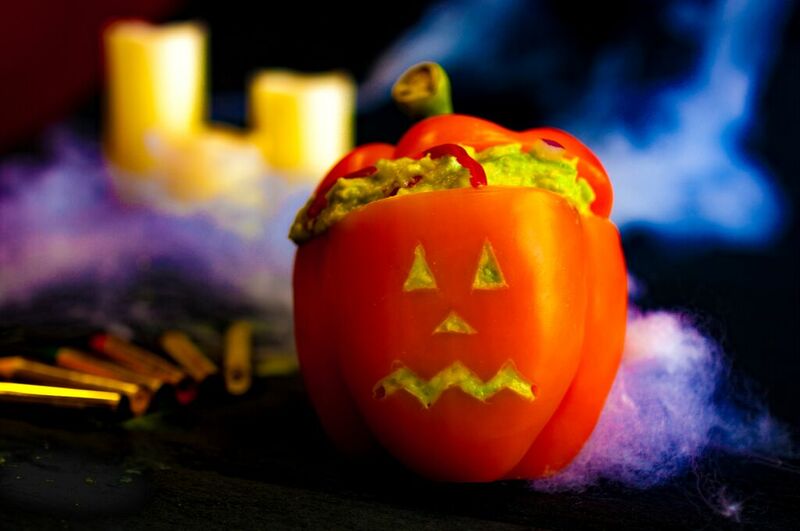 So, whether you’ve been out trick-or-treating or keeping toasty warm next to the bonfire, create the perfect themed party snacks for when the revellers return home. A spokesperson for Primula said: “This is the perfect time of year to throw a themed party with warm comfort food to warm up trick-or-treaters and while great taste is important, chefs should be able to enjoy the party too, so our party snacks are delicious but also super simple to make, giving you more time to create the perfect table display sure to impress all the boys and ghouls. 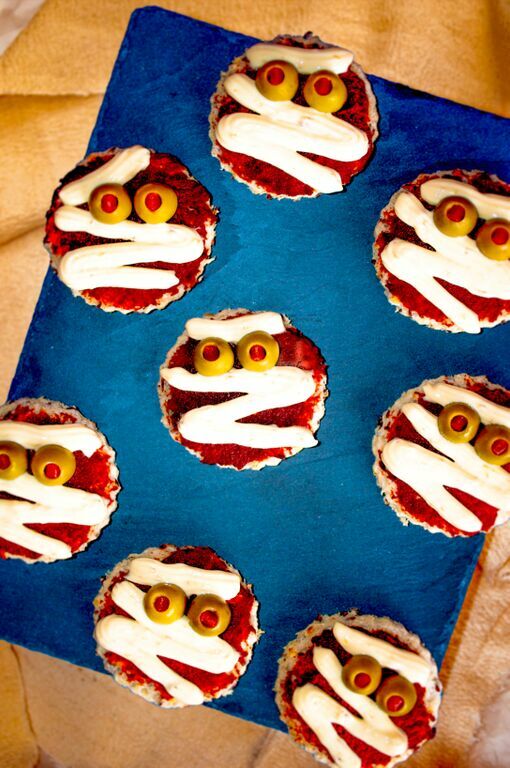 Get wrapped up in creating these mummified cheese and tomato faces except instead of a trail of bandages you leave a trail of tasty Primula. Cut circles in the toast using a 3” pastry cutter. Bake at 200°C for 5 minutes. Mummify your toast using Primula cheese squeezed in stripes to look like bandages. Place your olives on top for eyes. These mini-cheesy lanterns are perfect for Halloween parties and to make things even better they’re stuffed full of spooky goodness. Crush with a fork too desired texture (we like it chunky). Add the onion, lime and chilli. To make the lanterns, cut the top off four peppers (orange or red are best) and de-seed. Carve your spooky face into the front. These edible sparklers are quick and effortless to prepare and fun for the whole family. Scatter the dried ingredients onto a baking tray and mix. 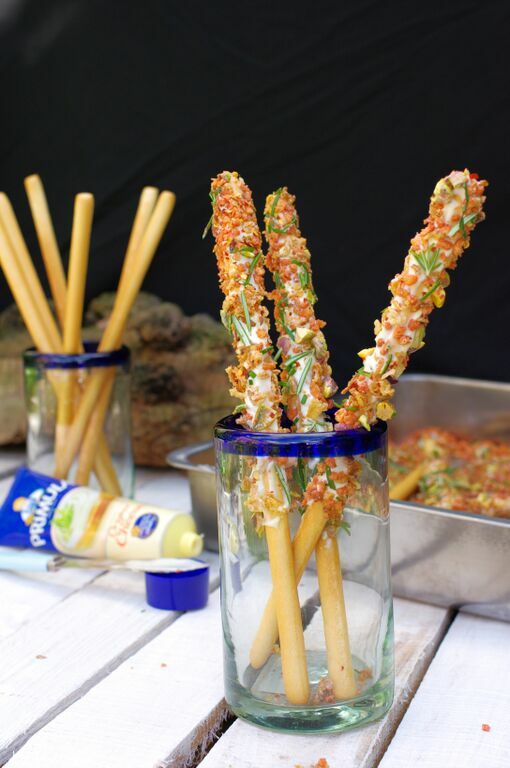 Apply Primula Cheese to the breadsticks and smooth with a knife. Roll breadsticks through the topping(s) and enjoy. 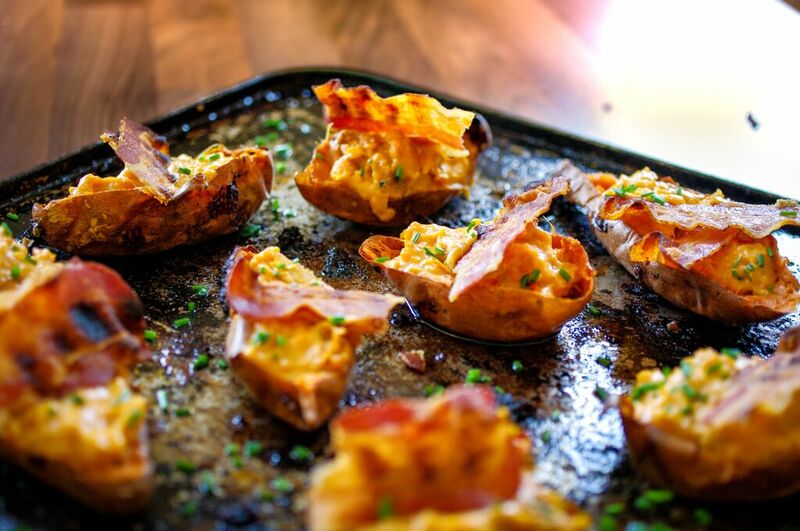 These minimal effort potato skins are perfect for autumnal evenings or bonfire celebrations – quick and simple so you won’t miss the firework display. Prick the skins of the sweet potatoes all over with a fork and rub with a small amount of olive oil. Place potatoes on a baking tray and bake in the oven for about 45 minutes or until tender. Towards the end of the cooking time, preheat the grill to hot. Place your bacon strips under the grill and cook till crispy. Remove potatoes from the oven and leave to cool for a few minutes. When baked, cut the sweet potatoes in half lengthways and keeping the skins intact, scoop the flesh from the sweet potatoes into a bowl. Add your Primula with chive to the removed sweet potato and mix. Stuff your cheesy mixture into the skins. Add crispy bacon and chopped chives and serve. About this post: Guest post courtesy of Primula. No payment was received. "Orkney Crab With Chilli And Lime Linguini…"
Ha! These look so cool. Thanks, some fun ideas here 🙂 Can't wait to try!